It’s Breastfeeding Awareness Month 2017 baby! And I am here to rant about things I cannot stand about breastfeeding! Why? Because this is hard. Breastfeeding is really hard! It’s magical and empowering and all that stuff but I need all you new parents and parents struggling right now to know that you will not like everything about breastfeeding. And that’s OK! We do a disservice to each other when we wash over the negative feelings that breastfeeding can bring us. We can find comfort and community in the tough things that we deal with just like with any other journey in life. It’s the secret to our success. So let’s get to it. 10 things I hate about breastfeeding! 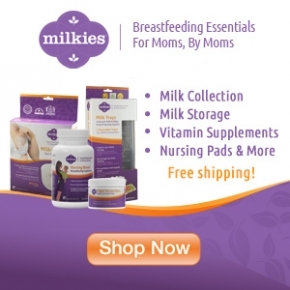 Read this post at Breastfeeding Basics!